THIS is our best collection yet. Inspired by the animal print trend, Born to be Wild assembles our new animal and bird jewellery together in an explosive collection. We like to think of it as a jewellery safari. Take a walk on the wild side with these totally gorge pieces. 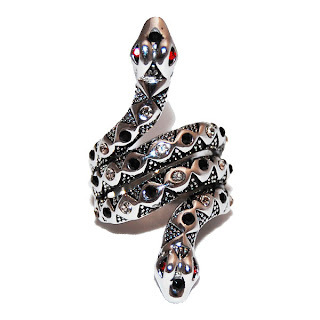 The Silver Entwined Snake Ring makes a statement and is guaranteed to let your hand do the talking. Beautifully encrusted with red and clear crystals, it dramatically sparkles when the light catches. Not one of our cutesy pieces, he's a vicious looking thing, but priced at £10, it's not going to take a massive bite out of your budget! The next piece is this wonderful Madame Peacock Necklace. 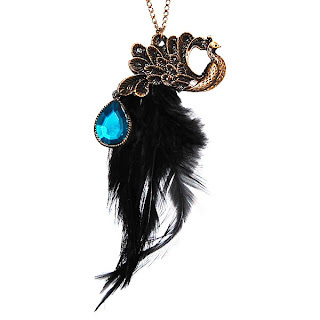 Such an unusual design, the bronze peacock is gorgeous and the black feather and green jewel decoration play a massive part in the necklace's distinguishability. We are in LOVE. This necklace adds something a little different to your jewellery collection for only £13. 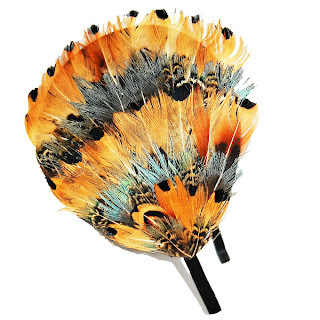 The Carmen Feather Hairband is a magnificent headpiece. Coloured with beautiful browns, oranges and greys, it adds a hint of elegance and sophistication to any outfit. We think it's best teamed with a simple shift dress and heels, for all eyes to be diverted to Carmen. This hairband is priced at £12. 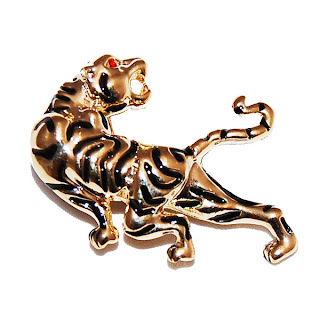 Our absolute fave piece, though, has to be the delightful Tiger Brooch. It's metallic gold with black stripes (naturally!) and bright red eyes. Jaw-droppingly gorgeous! This feline is sure to be the highlight of any jewellery collection. The Tiger Brooch is priced at £8. Well that's our summary of the Chelsea Doll Born to be Wild collection, but you really must take a look yourself. If you love refreshingly different jewellery as much as we do, then this is the collection for you. It's an accessory jungle out there! Thank you sooo much for putting me as one of your favourite blog, it means soo much !! I really love that snake ring, its gorgeous !! That sounds amazing! We've just become a follower of your blog too. Take a look at our other blog, http://www.iwantdress.co.uk, follow us there too!